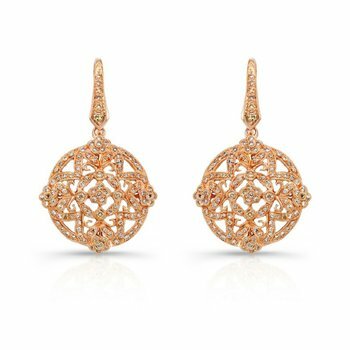 14 karat rose gold and diamond pendant; set with .35 cttw of natural round brilliant cut white diamonds. 14 karat rose gold 18 inch chain is included. Also available in white or yellow gold.